Enjoy luxury, style & pure Elegance! 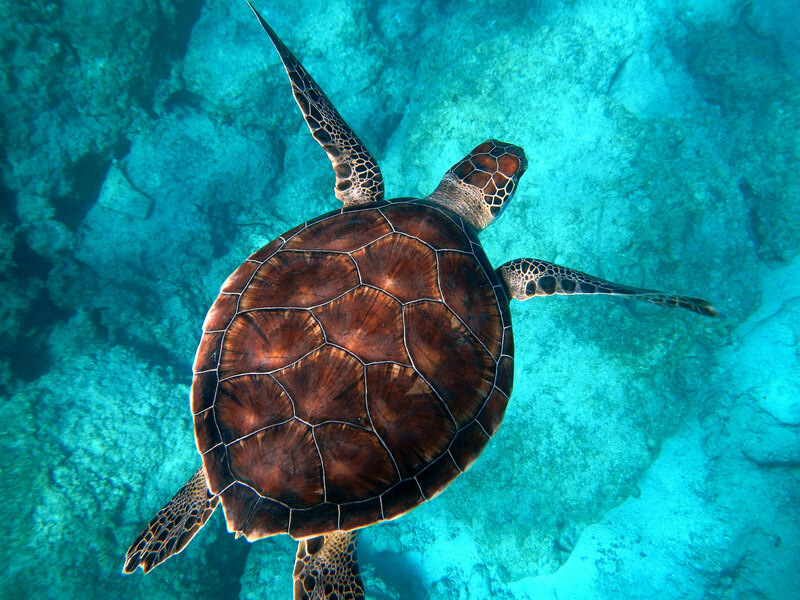 Sail cross the azure Caribbean sea, absorbing the picturesque views, stopping along the way for swimming in the pristine waters, snorkeling at the shipwrecks alongside myriads of fish, and face to face interaction with the turtles – an amazing experience you won’t want to miss! Elegance is also available for private daily charter. 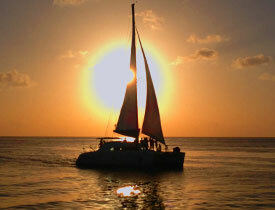 This enables you to completely tailor your excursion to your own requirements. Whether you'd like to enjoy a champagne breakfast at a secret destination, exchange wedding vows on board, celebrate a special birthday or anniversary in style or just relax with your family and friends, Elegance caters to your every need. Relax in the luxury and comfort of Elegance while enjoying the magnificent view of the island. Feel the light, cool breeze on your skin and notice the Island awaken to its evening life as you watch the last rays of sun dip below the horizon. 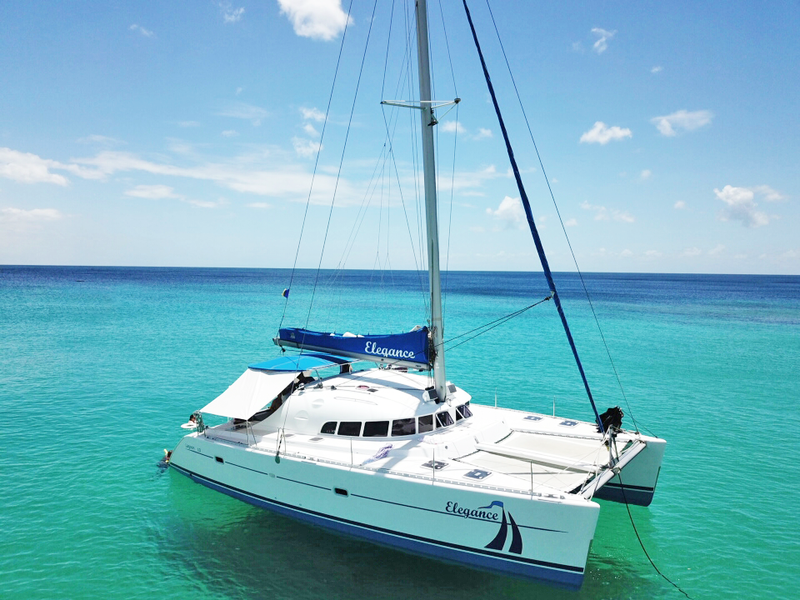 From the moment we stepped aboard, we loved our day on the Elegance Catamaran. The boat itself is beautiful and spacious. The crew are phenomenaland the food is great and plentiful, as are the drinks! In short, do yourself a big favor and take this tour. You will love it! !